"Zap it safely smooth, with Strip's top-notch". Well I am very sure many of you ladies out there have heard about Strip: Ministry of Waxing or at least seen it somewhere. To me, I know them cause of that yummy chocolate wax smell whenever I walk pass their shops at The Curve or Sunway Pyramid. Nevertheless, Strip has been around for a few years now, all started in Singapore and now it has expanded to Malaysia, not only in The Curve or Sunway Pyramid, but also Solaris Dutamas (Publika), Bangsar and also Lot 10! Other than this two countries, Strip boasts 11 years of daily businesses in a total of 35 outlets in 9 countries. They are the number one Global Authority in Hair Removal! Different Strip outlets have different themes! So it is definitely something different when I visit other outlets. Well, I visited the branch at Solaris Dutamas for an Intense Pulsed Light(IPL) treatment on my underarms. Yes, Strip not only offers waxing but also other treatments such as IPL which is very rare to come across since the machinery used can be quite delicate and special. IPL is an advanced semi-permanent hair reduction method which uses specially filtered beams of pulse light to break down the roots of unwanted hair. This technique delays the growth of new hair and furthermore, a percentage of hair may not re-grow, giving your skin a hair free zone! Not only that but it also aids the lightening of skin by reducing skin pigmentation and also helps by diminishing all those ingrown hair. Don't mistaken IPL as laser hair removal cause trust me, it isn't! I have done a session of laser hair removal and it hurts so badly, I could feel every zap, doesn't helps when you know it's coming with the beep of the machine *eeeks*. IPL on the other hand, is way more comfortable to the point where I did not feel a thing! After I was consulted by Strip's therapist who explained to me the DO's and DON'Ts of the whole process, before and after care, I was set to go. Do not fret, as there isn't much to worry about. Just that you should avoid bathing in hot water for 24 hours and that's about it! It helped so much more when I got to know that my therapist underwent a full 8-weeks training course before they become certified! So much professionalism was put into this with lots of extra care too. 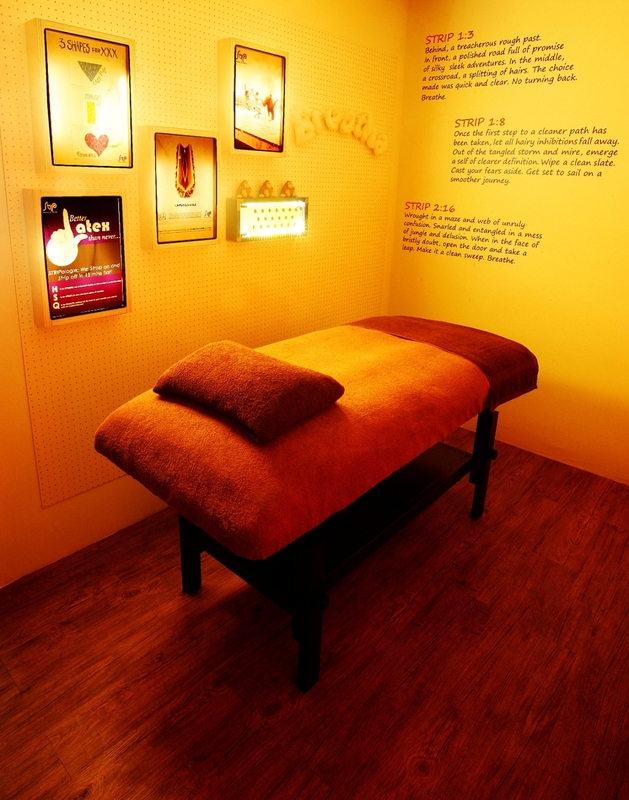 She then brought me to this very comfortable room where I was to lie down, and just relax! IPL decreases the amount of after care products needed thus saving significant amount of money! 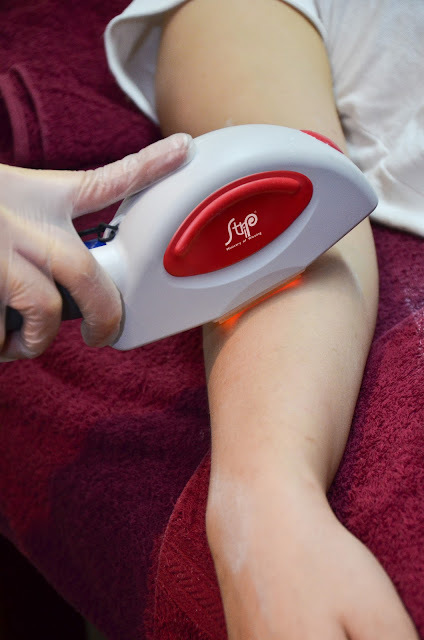 No more shavers and such as before IPL is done on the desired area, your hair will be shaven by your therapist, then after zapping the desired area with Strips finest IPL machine, all you have to do is just wait for the hairs to fall off. It is that care-free! No hassle of constant shaving or regular touchups or etc. Just a visit to Strip every 3.5 weeks! And in six sessions your hair would be gone for a good few years. Do you know that waxing costs more and takes up even more time than IPL? For example, if you were to get your underarms waxed in the course of three years, you will spend an average 97.5 hours and RM5700 with the chances of ingrown hair and no reducing of pigmentation spots? As compared to IPL on the underarms in the course of three years that only takes about 23 hours and RM4500 and less likely the occurrence of ingrown hair and ALSO reduces pigmentation? So as I was laying down, a cold compress was applied on to my skin to give it a numbing sensation so that when the treatment is conducted I won't feel the zap so much. Well it worked cause I didn't feel a thing! Plus the machine wasn't terrifying at all, instead it looked pretty cute haha. I actually felt a slight tingling sensation and that's about it. It's been a few days after my treatment that I am writing this post, my skin is much more softer and the hair is starting to fall off. Imagine that in six sessions! IPL is also way safer than laser treatments as poor handing of the laser machine result in unwanted burns! *ouch* Furthermore, laser doesn't lightens pigmentation only IPL does. Well if you're still skeptical of the benefits of IPL, why don't you head to your nearest Strip outlet and try it out on your own as Strip is running a promotion only until the 30th of June 2013! Here's myself and my really friendly therapist of the day! She made the treatment a really comfortable for me. Visit www.strip-my.com for more detail, or you can check out their Facebook page and "Like" them for updates on promotions and so on at www.facebook.com/StripKL . D4-G3-8, Solaris Dutamas, No.1 Jalan Dutamas 1, 50480 Kuala Lumpur. No. 28 First Floor, Jalan Telawi 5, Bangsar Baru, 59100, Kuala Lumpur. Lot No. 121B, First Floor, The Curve, Petaling Jaya, Selangor. F1.29 First Floor, Sunway Pyramid Shopping Mall, Bandar Sunway, Selangor. P3&P4, Fourth Floor, Lot 10 Shopping Centre, Jalan Sultan Ismail, Kuala Lumpur. Thanks, I loved the results! if I want to do the ipl for my upper lip, how many treatment would be needed and how much is the total cost? Electrolysis and laser hair removal are "permanent" hair removal methods but are expensive and you have to find a trained professional, otherwise your skin could be damaged. Thanks for sharing the useful information. I did mine in Sunway Pyramid. I felt cheated because this place is overrated. I was practically doing "sit-ups" from the waxing because it was so painful! Going back to Honeypot. Ah I'm sorry to hear about your experience but I've never had a bad one with STRIP. I usually go there for my upper lip and legs waxing and it didn't hurt a bit :/ You could give them feed back and the staffs name?